The town grew up around a ‘dark pool’, from which is took its name. The pool flowed into a wide river which would one day be famous across the globe, almost synonymous with the town. The river in turn empties into the Irish Sea, for a long time an important trading route both east-west and north-south. As technology moved on, the river’s banks became crowded with masts, and docks to hold those masts. Eventually, the ancient pool was lost beneath the city’s streets – the land was simply more valuable – but it is known that the stream which fed the pool still flows underground, buried not lost, along with remains of the medieval castle. To the east and south of the city centre, a gridiron of Georgian streets with smartly coloured front doors attest to one of the city’s most affluent periods. These days, their neat uniformity is face to solicitors, dentists and ‘aesthetic’ clinics. The Victorian parks – gifts from the city’s richest sons and daughters – throng with the distinctive accent of the locals, along with a host of dialects and languages brought here from all over the globe by students and others. This is the legacy of a time when the place claimed to be ‘Second City of Empire’. The Vikings once landed here too, but the evidence of their stay is as ephemeral as King John’s castle. A placename here and there; something in the genes perhaps. A greater impact came out of the generations of writers, musicians and actors who grew up here, exporting portraits of the locals, and changing the face of global culture permanently. It is to find the home of these portraits that the tourists flock. There has been trouble along the way, to be sure, and no little violent upheaval. National headlines have been written in the streets of this fiercely independent town. But you can’t keep this place down (there are more cathedrals, and more universities, than the average), and now the city, once again, finds itself resurgent. Cranes march across the skyline, and the old is – almost carelessly – cleared to make way for the brand new, for the future. Only time will tell if that future belongs to the people who call this place home, or to the people who bring their business here from elsewhere. This is a city which won’t be held back. This a city of music, of poets, of sport, of life. Your forebears may have trodden the docks and piers here, on their way out, to a new life across the water, to America, or Britain. This is Dublin, your long lost twin, your neighbour across the sea. 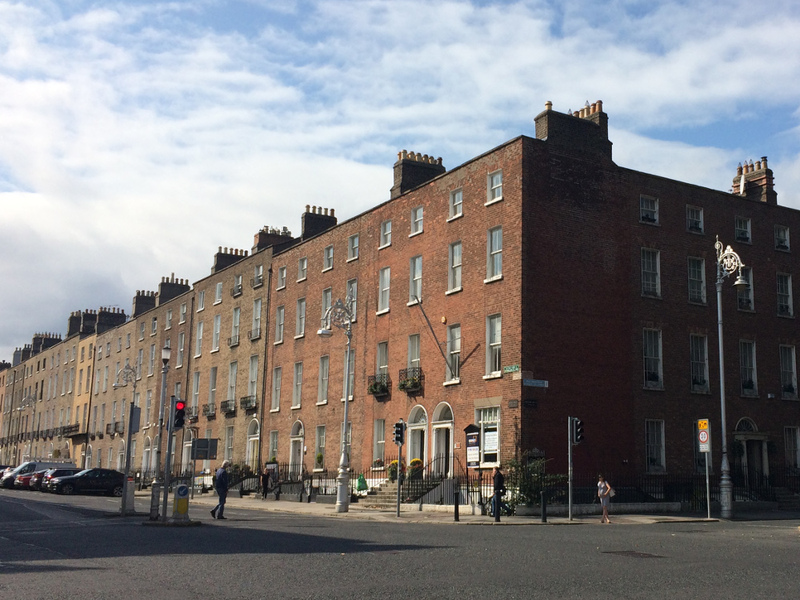 Image: The corner of Fitzwilliam Street Upper and Baggot Street, Dublin, by the author. This post was inspired by a recent visit to Dublin, and the amazing city I found there. Dubh Linn the black pool. Baile Atha Cliath .. the settlement of the hurdle ford. Glad your enjoyed your visit to Dublin. Liverpool North Dock and the Dublin North Dock/North Strand /East Wall areas were effectively suburbs of each other in the past. Part of one British administration and separated by the Irish Sea. My father’s mother was born band raised in Saltney Street (Mooney) before moving to Dublin as a teenage girl. Her father and uncle were firemen stokers on steamers working the Irish Sea, and dockers in North Dock Liverpool. You helped me out with an old map of St Anthony’s RC area last year. 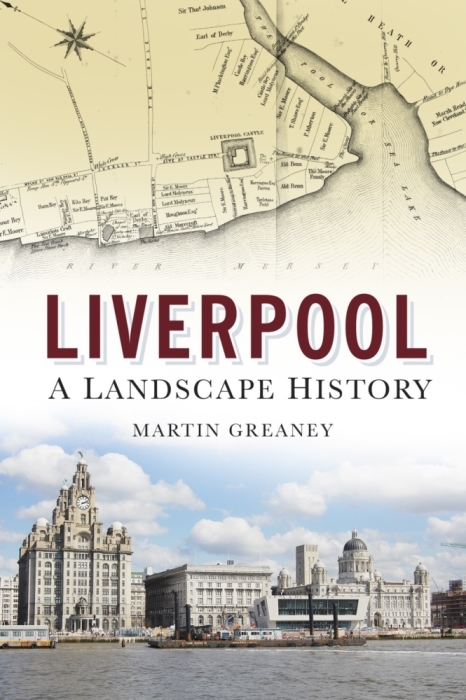 I hope to get back across to Liverpool coming months with my father, who is now 82, to do some more family research, and to see progress of the Tobacco Warehouse which started t nrise above Saltney Street when my grandmother lived there as a girl. Yes, we loved it there, and it felt very familiar to someone from Liverpool (especially with Irish ancestors). Sounds like your family also spanned the Irish Sea. Never knew that about the links between the two north end dock areas! I attempted to purchase the map ‘Plan of Liverpool 1890 North Dock’ on your website but without success. I live in Republic of Ireland, but the posting section in your on-line shop contains UK only. Please help me out here. 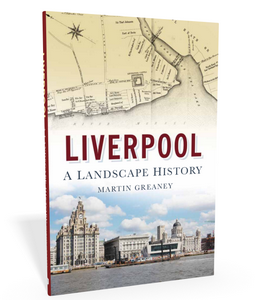 I am trying to get across to Liverpool this side of Christmas to visit the Liverpool archives as I am very keen to get a detailed street map, with court and house numbers, names from 1890 – 1910 period of specifically the Saltney Street, Dublin Street and Porter Street. I have the census records of my father’s people going back to 1871 in Saltney Street .. they were still living there in Saltney Street and Porter Street in 1911. That’s a long history in those conditions !. You helped me out superbly with a very detailed map of Broom Street and St Alban’s RC Church where my great grandparents were married in 1891. I am surmising that Saltney Street in the 1890’s contained a mixture of both Court Houses and Terraced street facing tenements. The Courts in Saltney Street were named at one stage as Queens Court etc .. but on the census forms I have researched they are called out as e.g. ‘3 in 8 Court’ .. house number 3 in Court 8 ?. In summary, please let me know how best to proceed with purchase of the North Dock map and if you do have any detailed street maps of the Saltney Street Dublin Street to Porter Street areas 1890 – 1910 please let me know. Have another go now. I’ve added Ireland as a new postage area, so it should work. If it doesn’t work, then let me know what you see on the page. It tries to auto-detect where you live, so Ireland should be ok. If not, I’ll send you a custom invoice for you to pay and put your details in. Unfortunately we do not deliver to to IE. Please enter an alternative delivery address. I’ve found the setting I missed before. Try one more time, and if it doesn’t work I’ll send you a separate link. Done .. please double check I used County Meath as the County in the address line Martin .. my mind was full of Dublin and Liverpool docklands today. Yes, order received. I’ll check the order details and get that sent out to you.